With make up, I’m a creature of habit, once I find something that works it takes a lot for me to venture out and try something new. This is why I’ll usually use the same product for years. I’ve been trying to change that the last few months and am impressed with how many more incredible products I keep finding. I’ll talk about it more below but after hearing so many rave reviews on the Buxom Lip Gloss I had to try it for myself and I was not disappointed! It has a cooling peppermint flavour and tingles and almost acts like a refreshing mint…I can’t wait to snag more colours! Best that I’ve found to fill in stubborn brows keeping them looking natural! So easy to apply. I’m obsessed with this foundation. Love that it’s build-able so you can go from light to full coverage depending on where your day will lead you. I posted about this on my snapchat few months ago and it’s still one of my favourites, I love how ‘black’ it is and really makes my lashes long and full! You all know I’m a sucker for CT, this month I’ve been using the clay mask and love the way it makes my skin feel. Also have been loving this! I use it as a mask and layer it on my face & neck about 30min before popping into the shower, it makes my skin buttery soft every time. Obsessed doesn’t begin to cover how much I love this. The smell immediately makes me feel like I’m at a high end spa. Perfect way to wash a busy day off of you and relax. 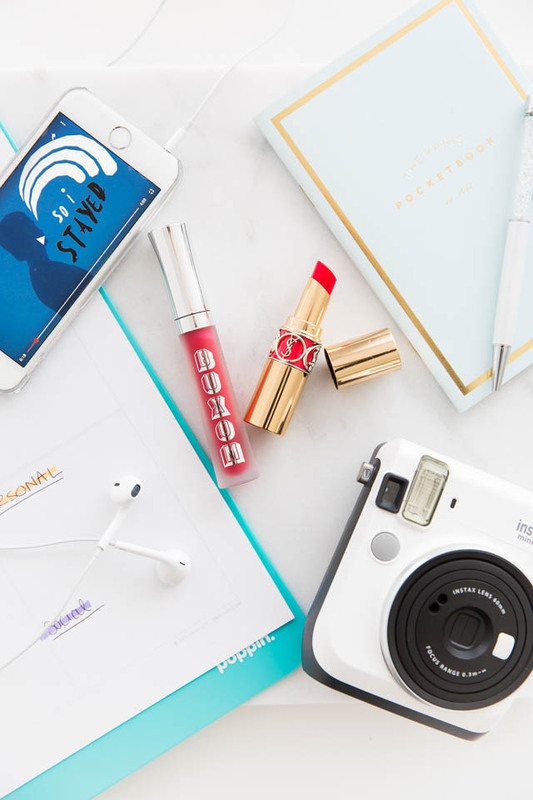 If you follow me on snpachat & Instagram you’ll remember I teamed up with L’Oreal to show my week on the go. This foundation is still my favourite. Its so light and gives great coverage – perfect for everyday. Not just for making vignettes that much more beautiful, this new YSL lipstick is sheer and perfect for when you want a hint of red lips vs. a bold red lip. I raved about this above & gave you a peek on snapchat but this gloss is my favourite. The cooling peppermint feeling makes it amazing not to mention there are so many fun colours to pick from. This is like a mint for your lips. The newest member to my polaroid family…does it need further explanation? I love it! This song has been on repeat for the last few weeks. Makes me feel like I’m back in Greece sipping a frappe laying on the beach…ahhh. I also have this in turquoise but its one of my favourite vases. When you’re a notebook hoarder and one of your best friends happens to make the prettiest notebooks it’s always on your favourite list! I always have one of these with me. 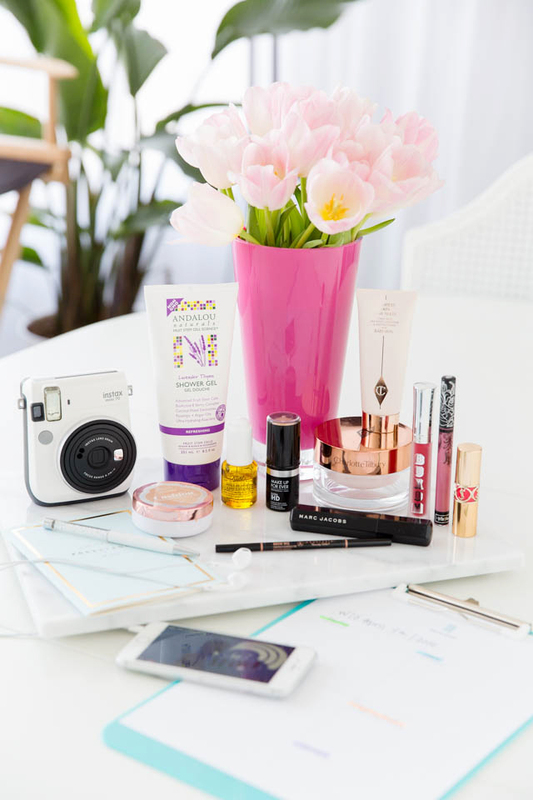 One my desk, in my bag, on my nightstand – its the perfect size to keep on hand when inspiration strikes! I don’t know what I did before this concentrate. It has a hint of orange freshness, everything that you want to wake up to. I put this on before my moisturizer and have noticed such a difference in my skin. Kiehl’s always gets it right. I’m always looking for new was to increase my productivity and keep me more organized. 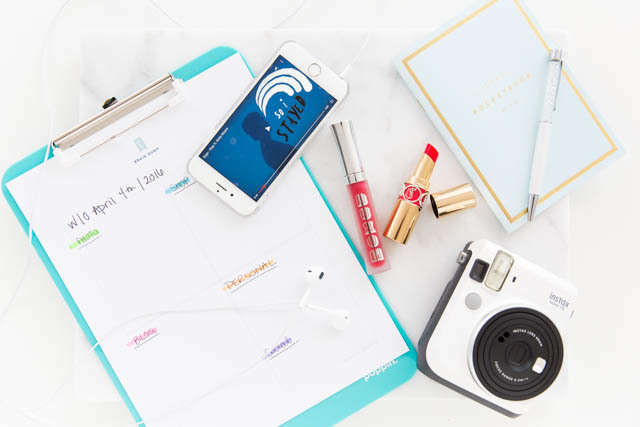 I’m especially excited to give you a peek into how I organize my weeks! In conjunction with my Simplified Planner I love using Emily Ley’s Free Printable library in ‘Quadrants’ to plan out my week. I use each quadrant for each area of my business – ‘Shop’ ‘Photos’ ‘Blog’ & ‘Personal’. Helps me keep track of the important things I want done that week! I have two of these always floating around my office – usually displaying my weekly to-do’s so I can always stay on top of to-do’s! The prettiest pen which I use when signing extra special contracts. As I type this it’s April and there is snow on the ground but I’m not giving up on Spring. For majority of March I loved buying Tulips to keep me optimistic that spring was around the corner! 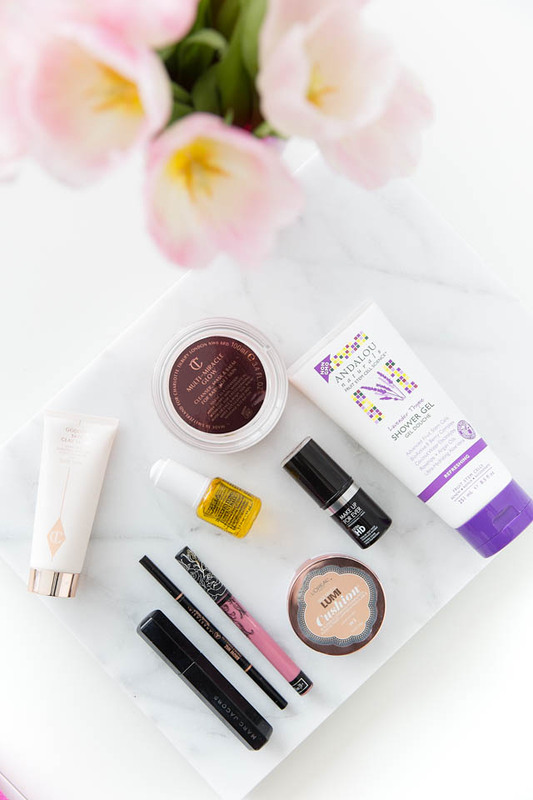 Hope you all enjoyed this month’s favourites!